Dimensions 1.25 by 6.50 by 9.25 in. 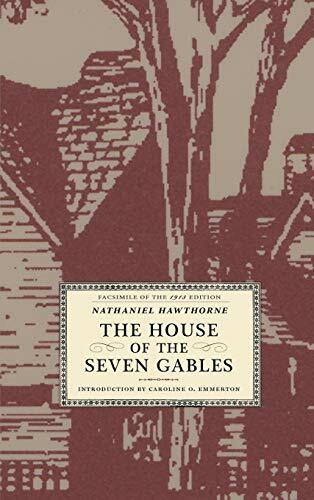 Amazon.com description: Product Description: Nathaniel Hawthorne's The House of the Seven Gables is a classic of American literature, written by one of the country's greatest writers. First published in 1851, the book is set in a mansion not unlike his cousin's many-gabled home in Salem, Massachusetts, which Hawthorne visited regularly. Caroline O. Emmerton's introductory note to this 1913 edition details the history of the house, from its construction circa 1668 to its purchase and restoration by Emmerton in the early 1900s. Emmerton founded the House of the Seven Gables Settlement Association in 1910, to serve the growing population of immigrant factory workers flocking to Salem. To help fund the Settlement House, the mansion opened its doors to the public as a museum, also in 1910. This edition is illustrated with 16 photographs of interior and exterior views of the house.